Tooth loss is often associated with a serious problem in the oral cavity: tooth decay, gum disease and, of course, periodontal disease. Other risk factors for tooth loss include mechanical trauma to the tooth, stress and anxiety, smoking, etc. In most of these cases, the tooth can be saved if you turn to the dentist on time for treatment and regularly follow the rules of oral hygiene. Let’s consider in more detail each of these reasons for the tooth loss. 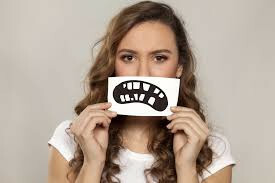 Among diseases of the oral cavity that can lead to tooth loss, should be noted the following diseases: cavities, pulpitis, tartar, gingivitis (inflammation of the gums), periodontal disease. 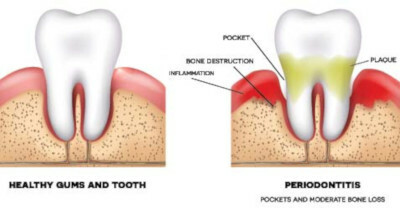 Periodontal disease is the most common cause of tooth loss. It is a disease characterized by the spread of inflammation to the bone tissue of the alveolar process of the jaw. Losing support, the teeth become mobile, and any significant mechanical effect can lead to their loss. Most of these diseases can be avoided with proper oral hygiene. In order to prevent tooth loss and stop the inflammatory process, Burbank dentist Dr. Sahakyan performs a number of procedures: X-ray examination, drilling and cleaning the cavity, injecting drugs into the tooth, closing the formed cavity. The treatment is selected individually according to patients’ needs. Loss of teeth can occur due to a sports trauma, an unsuccessful fall, or an accident. According to American studies, about 40% of traumas associated with tooth loss are caused by sports (basketball, football, hockey, baseball). Damage to the teeth after a stroke is not always obvious. 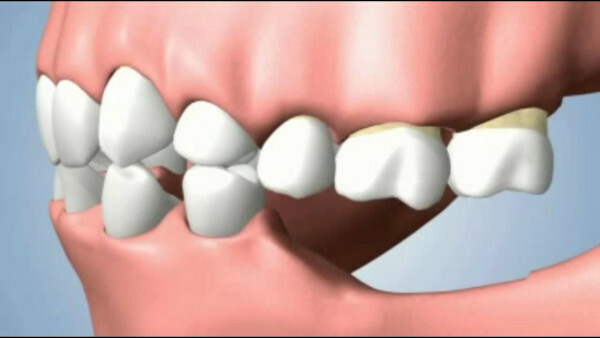 When injured, a fracture of the root of the tooth can occur. It will only be felt after a few months when an infection develops in the tissues. Under such circumstances, saving a tooth is almost impossible. Therefore, prompt examination and proper treatment are very important. The health of teeth and gums largely depends on the psychological state of a person. Constant stress, prolonged depression, and anxiety are often accompanied by the development of periodontal diseases. These diseases are a common cause of tooth loss. Specialists from the American Academy of Periodontology analyzed 14 studies on this topic. It turned out that in more than half of the studies a direct link between psychological factors and periodontal diseases was proved. The researchers believe that the less a person is under stress, the higher the likelihood for him or her to avoid tooth loss. Most likely, this is due to stress hormone – cortisol. This hormone, which is intensively produced during violations of the psychological state of a person, may contribute to inflammation of the jaw bones and gums. A person experiencing stress usually devotes less time to oral hygiene, begins to consume drugs, alcohol, and sometimes cigarettes. These unhealthy behavior negatively affects the state of the teeth. It is very important to be attentive to your psycho-emotional state and competently behave in stressful situations. A complete balanced diet, good sleep, and exercise can help to cope with stress factors surrounding you. Smoking remains as one of the factors that provoke many diseases. Its harm is known but underestimated by many patients. 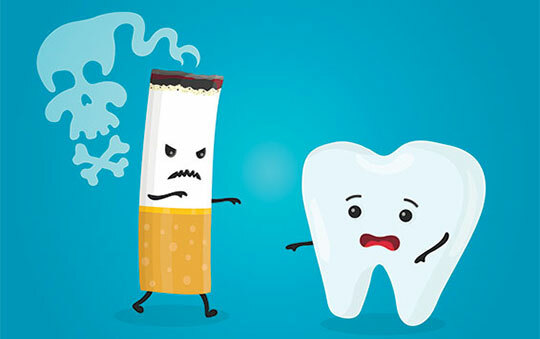 Smoking can cause tooth decay and contribute to an increased likelihood of gum disease. Gum disease is caused by the accumulation of plaque and bacteria on the teeth, around the teeth and between the teeth. These bacteria irritate the gums, causing their redness, swelling, and bleeding during brushing. Without timely treatment, this can lead to more serious problems or even loss of teeth. The more and longer you smoke, the more you are at risk for a tooth loss. All of these factors and the failure to perform proper oral hygiene can cause tooth loss. In order to omit the tooth loss, it is necessary to monitor nutrition, regularly and thoroughly brush your teeth, use dental floss and mouth rinse. 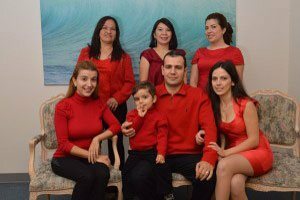 In addition, Burbank dentist Dr. Sahakyan recommends visiting the dentist twice a year to identify possible diseases in the early stages. Please call 1-818-578-2332 or contact our dental office today.